Armed with Lumix TS3 Underwater Camera brought just 2 days prior to my trip. I still have that natural high of a kid having a new toy to play with. It did make a dent to my budget, but I was willing to make it an investment, I've saved up for it anyway and what's the use of trying to become a budget traveler without understand a few sacrifice along the road. All for the adventure. I'm no diver, just taking my time before I train myself to it as it doesn't come cheap. 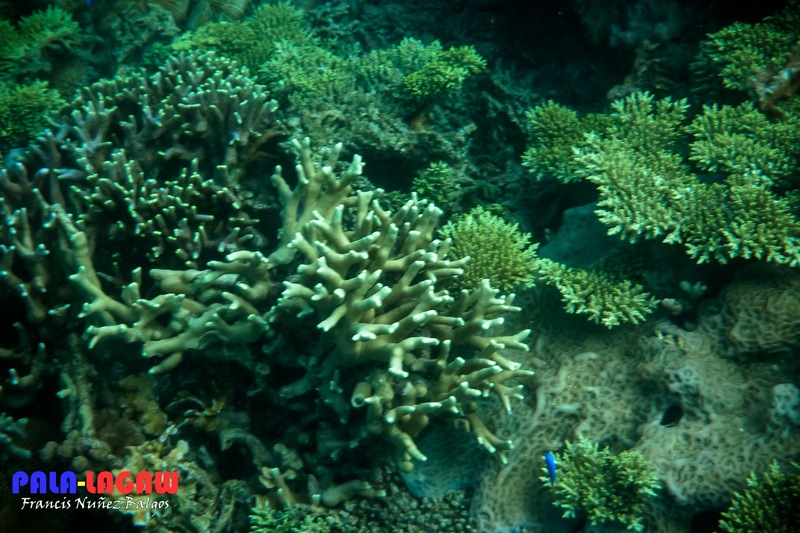 Snorkeling is affordable, though, I only need to bring my snorkeling gear and my eager self to a good site location for this adventure. To this, the final frontier of Coron, Palawan is a perfect destination. I've saved money so I could afford to buy an Underwater Camera. I can't just keep on reading and looking at underwater adventures of other, how would I continue to call myself the water whore if I can't prove it. The camera was in for a whole day love affair with the azure waters of Coron. I hardly notice that I still carry my DSLR, it feels like a big chunk of weight, but I didn't regret carrying it around through all 6 Coron locations for the tour loop. I was feeling elated, the strong currents in the Siete Picados and the looming grey rain clouds in the morning didn't put me down. I jumped in the water surrounding Siete Picados upon arrival, I didn't anticipate the strong currents and while lugging the camera in my hand, I struggled against drowning. Good thing buoy's where placed around the island, I held onto the rope marking the snorkeling pen for dear life. Looking back, other guest may have thought me crazy for jumping in the waters without a life vest on. No regrets though, got for myself a few shaky shots of the treasures surrounding Siete Picados, to say its rich and diverse is an understatement. 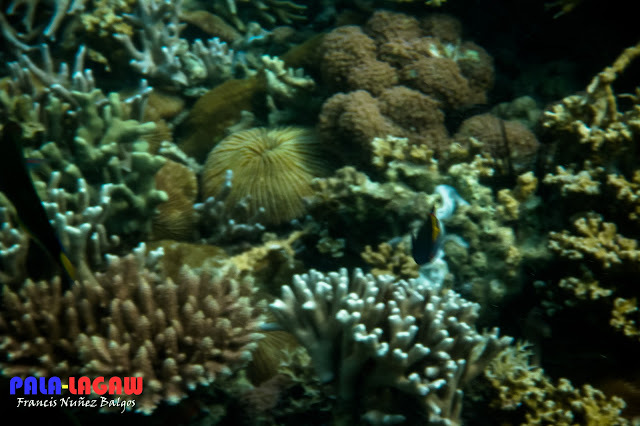 Considering the strong water currents, and the grey overcast sky, I must say I'm still lucky to have seen these coral reef. I just assured myself that I hadn't seen the best of my new camera yet. On the initial approach to Siete Picados, you wouldn't know that the shallows surrounding it is full of colorful marine life. For one thing, its very deceptive, I almost ask our guide if this was really the spot, you just can't tell from above the water considering that the island looks like a small outcrop or excess of limestone sediments trusted upward from the seabed. Once you get closer, it became apparent that though the water is restless, it is clean and clear that you can peak at the bottom. There are also some giant clam fingerlings. Being introduced to giant clams in a conservation center in Camiguin, and knowing that these are endangered species. Clams are some of a few indicative animals in the world, simply because their presence is indicative of the current health of the environment. Their survival relies on the most pristine of conditions, their health will easily tell you the status of the environment you are exploring. Seeing them here makes me feel glad that there is still a future for them and knowing the thought that my future children may still be able to see them flourishing from their natural habitat. Thanks for that recommendation for an underwater camera. Nice clear pics you got! How much is that? 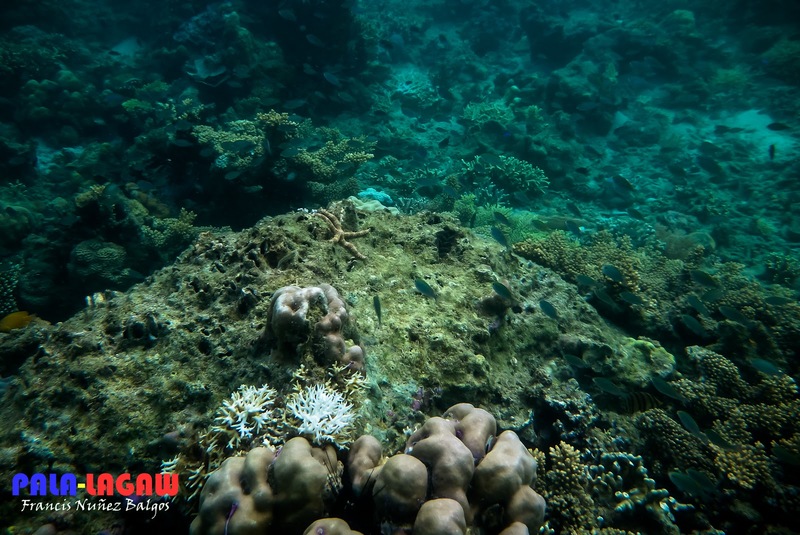 One of the best things we have in the Philippines is the underwater views. And luck you for having taken a closer look and capturing them in your own lens. The image quality is very fine for the couple of shots in the end of the post, I suppose the camera is really good and will check this camera for sure. Hindi ba nakakatakot sa ilalim ng dagat??? The view is just amazing!!! I am also eyeing for a Lumix. You know what, I have this fascination about diving or snorkeling although I never tried them yet, but I want diving more, I mean, just going myself deep to the sea which I believe not an easy task and it would not be that cheap like you said. However for sure, I know it will be one of those activities I like most whenever I will have time. 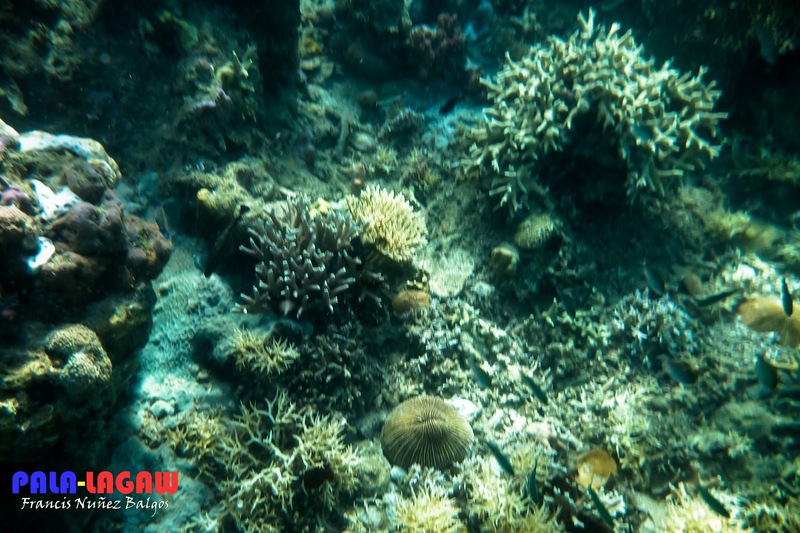 I am always amazed of the underwater ecosystem of Palawan. Grabe in Coron, those things are already present for good, how mote to Tubbataha pa kaya.. Really amazing! There you are at the last photo.As i was reading the post and looking at the post,I was also hoping to see you under water with corals.Underwater photos really amazes me.I don't swim but it is always my dream to visit the underwater and stare the beautiful sight of corals and school of fish. Lol back in college sawaan ang diving and snorkeling, palibasa thesis ko nasa field ng Marine Biology. Pero kahit every week ako nirerequire mag sampling, I'll always be amazed with the beautiful coral reefs of our country. Grabe ang ganda lang! Can't wait na mag snorkel sa Palawan. I've never been there. Palawan would be my next target destination! super like your underwater pics! I've been here and now I am once again. LOVE the island and "under the sea" as well. Looking forward to our Coron vacay :) You indeed got nice underwater pics. More dives and you'll get perfection.